Beavers' ability to shape their environment is beyond impressive—but you already knew about the dam building. Let’s look at some other things that make beavers incredible. Although they didn’t have the characteristic flat tail, giant beavers of the Ice Age, known as “Castoroides,” looked remarkably similar to their modern descendants—just much, much bigger. They grew to be up to 8 feet long and 200 pounds and lived a semi-aquatic life. In fact, it’s sometimes used in vanilla flavorings. 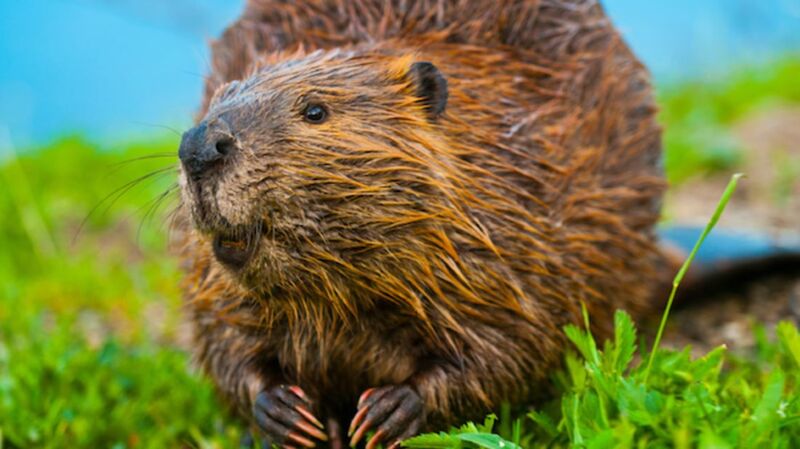 Castoreum is a chemical compound that mostly comes from a beaver’s castor sacs, which are located under the tail. It is secreted as a brown slime that's about the consistency of molasses and smells like musky vanilla. It’s an FDA-approved natural flavoring. Or at least they're monogamous. Dams are usually started by a young male looking for love or by a mated-for-life new couple. A whole beaver family will live in a single dam—mom, dad, young kids, and yearlings. In 1948, new human inhabitants of western Idaho began to clash with the local beaver population. The Idaho Department of Fish and Game wanted to put these threatened beavers in a nearby protected area, but they didn't know how to get them there. Elmo Heter of Idaho Fish and Game devised an ingenious solution: By using surplus parachutes from World War II, the department could drop boxes of beavers down from planes. After some careful calibrations, 76 beavers made the skydive into the basin, and all but one survived the fall. This one may sound obvious, but up until the 1100s, people thought that beavers did. The myth originated in ancient Egypt and reappeared in the bestiaries of medieval Europe. The story went that beavers knew hunters were after them for the valuable castoreum oil in their testicles. This myth was not terribly difficult to disprove, largely because beaver testicles do not hang outside their bodies. And not just because they have terrible dental hygiene. To gnaw through tree trunks, they need extra-strong teeth. Fortunately, their tooth enamel contains iron, which makes them incredibly strong, sharp, and orange. Because the orange enamel on the front of their teeth wears away more slowly than the white dentin on the back, a beaver’s teeth self-sharpen as he chews on trees. A beaver’s oversized leathery tail, which can grow up to 15 inches long and six inches wide, has uses both on land and in the water. While swimming, the beaver uses his tail as a rudder or as a siren by slapping it against the water to warn other beavers of a predator. On dry land, the tail acts a prop to allow the beaver to sit upright or as a counterbalance so he doesn’t tip over while carrying heavy supplies in his teeth. 10. England's beavers are back? Until recently, the last mention of a beaver sighting in England came in 1789 when a bounty was paid for a beaver head in Yorkshire. By that point, the once prolific beaver had dwindled due to over-hunting for their valuable pelts and medicinal glands. For several hundred years, the species disappeared from Great Britain, and it was assumed they’d gone extinct. Last year, a retired environmental scientist documented a family of beavers living near his home, but now the rodents are causing a controversy. Although beavers are also making a comeback on the continent—after numbers dwindled to just 1,200 the population is now estimated around 300,000—British officials are concerned the ecosystem has changed too much to accommodate them. In order for this mammal to live a semi-aquatic life, beavers utilize a host of adaptations that help them navigate the water. Nose and ear valves shut to keep out water while submerged, and nictitating membranes or transparent "third eyelids" act as goggles. Perhaps most useful is that their lips close behind their oversized front teeth, allowing the beaver to transport building materials and food without drowning.